For years I did a lot of catering. Private chef style, “in your home” gourmet dinner parties were my specialty and once my clientele found out I made She-Crab Soup, that became one of my most requested first courses for dinner. She-Crab soup gets its name from the “female” crabs used in the authentic soup because the authentic version calls for the crab roe (or eggs, hence only found in female crabs). These days most people have stopped using the roe because, unless you catch your own crabs, it’s nearly impossible to locate. Instead, the soup contains big plump juicy pieces of crab meat, usually lump but I will also use claw meat. Just be sure to pick the crab meat for shells. An easy way to make sure there are no shells in your crab meat is to spread the meat on a sheet pan and put in a warm oven for 5 minutes. Because the meat is “cooked” as part of the canning process, you aren’t hurting the crab meat. Any shells in the meat will turn orange-pink so you can easily spot them and remove them. 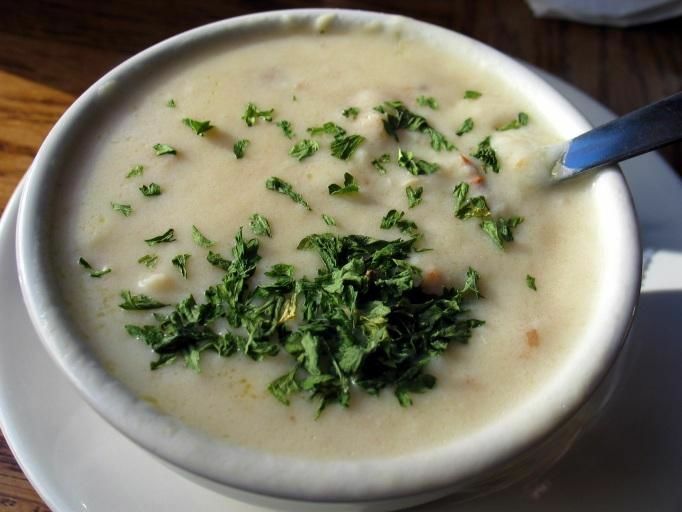 Some chefs make She-Crab soup by starting with homemade cream of mushroom soup. I take a shortcut and use canned cream of mushroom, which cuts an extra hour and a lot of cream out of the recipe. Still, this is by no means a light recipe! Pour into a double boiler (or a pot set inside a larger pot of simmering water) and cook for 1 hour, stirring occasionally. Serve in bowls with 1 tbsp dry sherry swirled on top and a nice piece of crusty baguette. This entry was posted in Soup and tagged crab bisque, crab soup, creamed crab soup, she crab bisque, she crab soup by quarlj01. Bookmark the permalink.